Trixylyl Phosphate - ZhangJia Gang YaRui Chemical Co., Ltd. 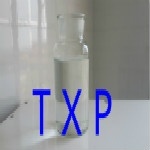 Appearance: Colorless Or Light Yellow Viscous Liquid, Slightly Soluble In Water, Soluble In General Organic Solvents. Raw Materials: Xylenol, Phosphorus Trichloride, Chlorine Through Esterification, Chlorination, Hydrolysis, Distillation Steps To Get. Packing: Net Weight 200KG / Galvanized Iron Drum (A Small Cabinet Playing With 16 Tons), 1000KG / IB Bucket (A Small Cabinet 18 Tons) Or 23 Tons ISOTANK. Phosphate Trisphenylene Phosphate Is Low, Resistant To Hydrolysis, Good Flame Retardant Can Be Used As Vinyl Resin, Cellulose Resin, Natural And Synthetic Rubber Plasticizer, Low Volatility, Good Water Resistance, Flame Retardant. Trichenylene Phosphate Use For Use In Combustible Turbine Oils, With Good Flame Resistance And Good Thermal Oxidation Safety, Good Lubricity, Extreme Pressure Antiwear Additives For Lubricants, Thickeners. Also Used For Fire-Resistant Turbine Oil, With Good Thermal Oxidation Stability, Lubricity, As A Lubricant Anti-Wear Additives, Plasticizers, But Also For Flame Retardant, Wear-Resistant, Resistant To The Mold Of The Cable, Ethylene Conveyor Belt, Artificial Leather, Foam, Flooring Materials, But Also In Metallurgy, Electricity, Mechanical Engineering And Other Aspects As A Fire-Resistant Hydraulic Oil. Status Of Goods: Exports Of Category 9 Dangerous Goods. Packing: Net Weight 200KG / Galvanized Iron Drum (A Small Cabinet Playing With 16 Tons), 1000KG / IB Bucket (A Small Cabinet Installed 18 Tons).